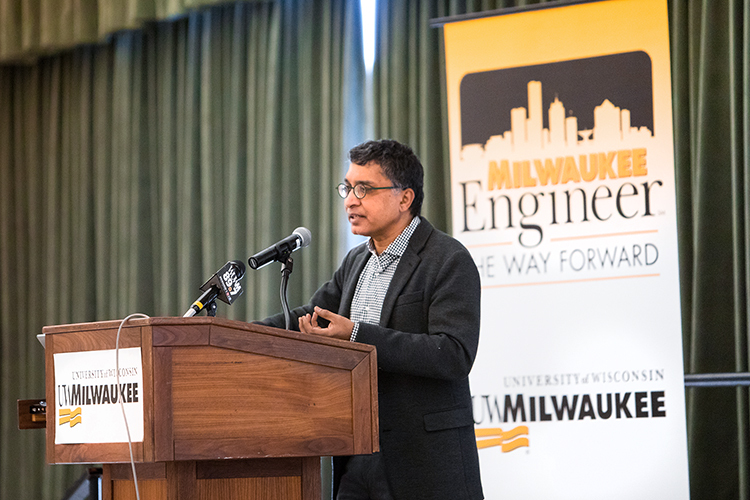 As our use of technology advances seemingly at the speed of light, so too must our concern for how that data is used and collected, Microsoft executive Raghu Ramakrishnan told an audience at UW-Milwaukee. 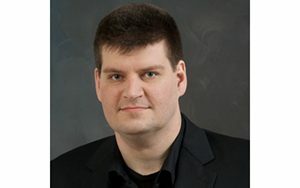 Georg Essl, a research professor in the Department of Mathematical Sciences at UWM, has been named among the 2019 Guggenheim Fellows in the category of computer science. 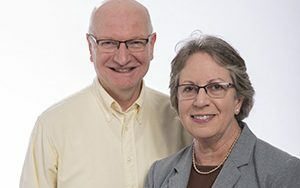 UWM faculty Linda Whittingham and Peter Dunn have been awarded the 2019 Elliott Coues Award from the American Ornithological Society. 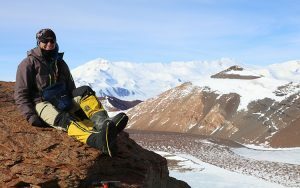 UWM geosciences students are piecing together data from rocks and sediment to figure out clues left behind by glaciers. The knowledge can help us understand climate change in the present. 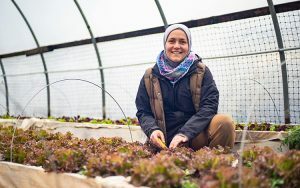 Amirah AbuLughod is learning about small-scale farming while working at Stony Point Center, home to a multifaith community that provides opportunities for interfaith growth and spiritual reflection. 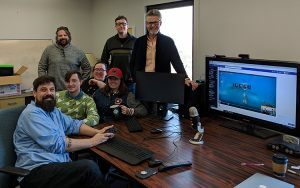 A collection of UWM faculty and students is using their own Twitch channel to explore the academic side of video and board games. 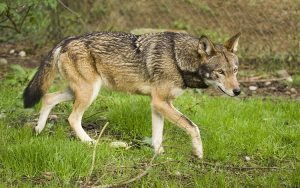 Emily Latch, associate professor of biological sciences at UWM, is giving the U.S. government a hand as it tries to figure out which wolves should be protected under the Endangered Species Act. 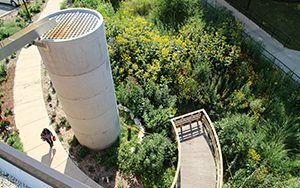 Improvements made to UWM’s award-winning Spiral Garden last year have improved the feature’s ability to divert stormwater runoff from rushing into sewers. 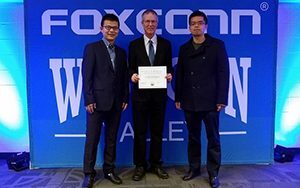 Seven people from UWM were among the 88 winners in the first round of the Foxconn “Smart Cities-Smart Futures” competition, which attracted 325 entries from higher education institutions across Wisconsin. 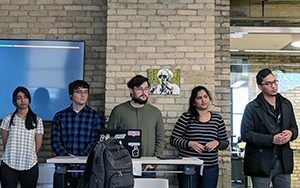 UWM’s Nonprof-IT program provides benefits for everyone involved: Information technology students get real-world experience and local nonprofit groups get free help with their websites and technology. 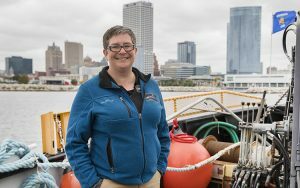 Liz Sutton, outreach manager at UWM’s School of Freshwater Sciences, is joining one of the world’s great explorers on a mission to map the bottom of the Pacific Ocean. Her job: To perform a digital show-and-tell with the underwater images.